Wrongful death suits are very common in civil courts. Anytime a person is fatally injured due to the negligence or maleficence of another individual, the family members of the victim can file suit against the guilty party for wrongful death. A wrongful death claim can be brought against individuals, as well as companies and government agencies. Part V of the Act defines regulations for a dependent’s claim for damages and specifies who is entitled to claim and recover damages from an individual’s death, due to the fault of another. This includes spouses, children, grandparents, siblings and grandchildren. Essentially, any close blood relative who was dependent on the deceased in some way or another, can file a wrongful death claim on their behalf. There are many types of incidents from which a wrongful death suit can arise. The most common are car accidents, medical malpractice, product liability and homicide. With regard to the latter, an individual can be found innocent of homicide in a criminal court but still be found liable in a civil court. The most famous example of this was the O.J. Simpson trial in the mid-90’s when Simpson, after being acquitted in a criminal court for murdering his ex-wife Nicole Simpson and her friend Ron Goldman, was later found liable for the two murders in a civil court and ordered to pay the victims’ families $33.5 million in compensatory and punitive damages. When it comes to proving wrongful death, particularly in cases of negligence, the plaintiff is often tasked with the same burden of proof as in any personal injury claim. That is, they have to prove that the defendant owed the victim a duty of care, that they failed in this duty and failure in this duty directly or indirectly caused the victim’s death. Medical malpractice suits are one of the most common types of wrongful death suits. When you go to the hospital or visit the doctor, there is an expectation that you will be given competent care and that the physician will not take risks with your health. Your life is quite literally in the medical professional’s hands. A failure to administer the correct medications, specify the appropriate dosage, make an accurate diagnosis, execute reasonable and appropriate surgical procedures or follow up on potential health risks can result in the death of a patient. Similarly, the potential health risks from dangerous products requires that new products must be tested and re-tested, particularly in the case of pharmaceutical drugs which must be approved by the appropriate agencies before being released to the public for sale. Failure to exercise due caution and care can result in the death of an individual and a painful loss for their family and loved ones. Car accidents and motorcycle accidents are a frequent source of wrongful death claims and a key reason is that unfortunately, driving under the influence of alcohol and/or drugs continues to be the leading cause of car accidents. Despite the many public service announcements, programs, criminal charges and serious consequences, many drivers still make the irresponsible decision to get behind the wheel of a car while intoxicated and/or high. Another leading cause of car accidents that contributes to many wrongful death claims, is distracted driving, which includes talking on the phone or texting, checking your devices, talking to passengers, putting on makeup and eating while driving. Anything that takes an individual’s focus and concentration away from the road while driving, even for a split second, can sometimes result in unspeakable tragedy. Damages for wrongful death claims, like most civil cases, often fall into the category of compensatory damages or “actual damages”. 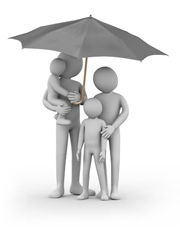 Compensatory damages essentially refers to the actual losses suffered by survivors, due to the loss of the deceased. These damages are often further categorized into economic and non-economic damages. Economic damages include compensation for medical and funeral expenses related to the death of the deceased; loss of earnings the victim was expected to make had they lived; and loss of any benefits the victim might have earned, such as pension and the value of any goods and services the victim would have provided had they lived. Non-economic damages typically include an award for the loss of care, guidance and companionship the deceased would have provided to their loved ones and also, a consideration of the mental pain and suffering experienced by the victim’s loved ones, resulting from their death. Vokes v. Palmer – While nine months pregnant, Michelle Vokes, was killed in a car accident caused by Randall Palmer, who was speeding at the time. Vokes was survived by her husband and two young children. Her husband filed a wrongful death suit against Mr. Palmer and was awarded a total of $342,000 in damages. The amount includes $117,000 for the oldest child, $135, 000 for the younger child and $90,000 awarded to Mrs. Vokes’ husband. At the time, the amounts awarded to the Vokes children was the largest in Ontario history to a child for the loss of a parent. Baker v. General Motors – The parents of Nick Baker joined a class action suit against car manufacturer General Motors, after receiving a letter 18 months after their son’s death, informing them that the Saturn he’d been driving at the time was subject to recall. Investigators had informed the Bakers that Nick’s death was due to his airbag not deploying. Dybongco-Rimando Estate v. Jackiewicz – 30-year old Evelyn Dybongco-Rimando died at the hospital after suffering a cerebral hemorrhage that left her clinically brain dead. Her family filed a wrongful death suit against the medical staff who had cared for her. The trial took years to get underway and after 33 days of testimony and evidence, the judge ruled that the defendants were negligent and thus liable for the victim’s death and awarded the family $708, 513 in damages. Valeri et al. v. Wills – The family and estate of Linda Mariani brought a wrongful death suit against Richard Wills, who had been convicted in a criminal court of murdering Ms. Mariani. Mr. Wills claimed that Ms. Mariani died accidentally in a fall, but the Crown argued that Ms. Mariani was going to leave Mr. Wills and he would not let her. After examining all of the evidence, including that of the criminal trial, the judge ruled in favor of the Plaintiff and declared the Defendant liable for the wrongful death of Ms. Mariani. There are many important elements that must be in place to successfully file a wrongful death claim, including the appointment of a representative for the deceased’s estate. Another vital step is to contact a skilled personal injury attorney who is experienced in handling wrongful death claims. The well-respected lawyers associated with the ILO group offer expertise in wrongful death claims and other negligence suits. We know how emotionally devastating the sudden loss of a loved one can be, especially when due to the carelessness or irresponsible behaviour of another individual. And while we know there is no amount of money that can replace your loss, relieving some of the financial burden that comes with the death of a loved one is very important. If you or someone you love has suffered the loss of a loved one due to the fault of another, please do not hesitate to call an ILO wrongful death lawyer. 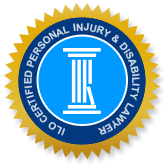 Let us help you during this difficult time by facilitating a successful claim for the compensation you and your family deserve.